Rewilding Europe is delighted to welcome a new member from Portugal to the European Rewilding Network. Working to promote the nature-based economic development of the Serra da Estrela region, the Rewilding Geopark Estrela project takes the number of network members to 65 (including Rewilding Europe’s eight operational areas), distributed right across Europe. Fraga da Pena Tor geosite is one of many geosites that are part of Geopark Estrela in Western Iberia, Portugal. Situated in Western Iberia, the Serra da Estrela is the highest mountain range in mainland Portugal (maximum elevation 1993 metres). Extending over more than 220,000 hectares (2000 square kilometres) of this massif is the Estrela Geopark, one of the richest areas on the Iberian Peninsula in terms of biodiversity and cultural heritage. The geographical position of the park, coupled with its diverse bioclimates and soil conditions, mean it is home to many unique and endangered species. Wolves, boars, otters, genets, golden eagles, peregrine falcons, Eurasian eagle owls and black kites are all resident here. Overall there are about 40 species of mammals, 100 species of birds, 30 species of amphibians and reptiles, eight species of fish and a variety of invertebrate fauna. Three-quarters of the bat species that exist in Portugal can be observed in Serra da Estrela, and around 70% of the amphibians. As with many other rural areas of Portugal, much of the Estrela Geopark which was once used for agriculture has now been abandoned. However, unlike in other areas, many landowners have been willing to sell their rocky smallholdings, and this has led to burgeoning opportunities around nature conservation, rewilding and nature-based tourism. The Rewilding Geopark Estrela project, overseen by the Associação Geopark Estrela, is now working to protect, promote and rewild the nature and wildlife of the Serra da Estrela area. It currently provides the framework for implementing rewilding and conservation measures to other local geosites, and is working closely with nine municipalities to extend a legal protection framework. “We intend to foster research with the aim of developing the geopark’s scientific, cultural and tourism potential for the benefit of local wild nature and communities,” says Emanuel Castro, the Associação Geopark Estrela’s executive coordinator. 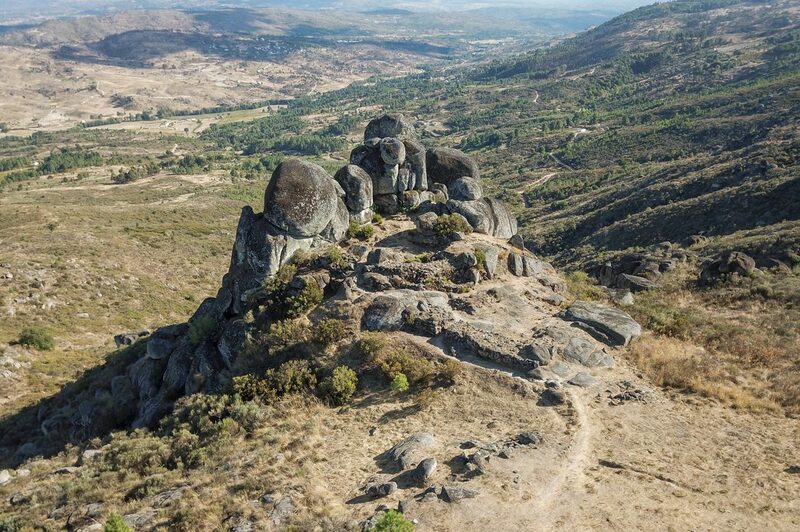 The project has applied to join the UNESCO Global Geoparks Programme, with voting taking place at the 8th World Geoparks Conference in September (a final decision will be made by April 2019). Application began in 2014, with a memorandum of understanding signed between nine local municipalities in 2015.